Government has set in motion a rigorous data collection system for its employees that will see capturing of biometrics and resubmission of academic and professional qualifications, which will be subject to verification for authenticity. Biometric data collection gathers bio-information through live capturing of fingerprints, facial features, photographs and signatures. The measures are part of a broader plan to flush out ghost workers who have been drawing salaries and allowances for years. Government is sitting on a wage bill that chews about 90 percent of revenue and has been cited as unreasonably high in the quest to improve the economy. 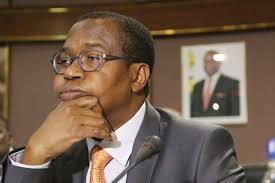 In the 2019 National Budget Statement a fortnight ago, Finance and Economic Development Minister Professor Mthuli Ncube said Government conducted civil service audits in 2011 and 2015, with both pointing to the existence of ghost workers. He said, “Clearly, this goes against the thrust of re-orienting Budget expenditures towards growth enhancing and poverty reducing developmental programmes and projects through rationalisation of the public service wage bill. To weed out these ghost workers, I propose to introduce a biometric registration of all civil servants, with effect from 1 January 2019. The registration process will be rigorous and will involve capturing data on letter of appointment, academic and professional qualifications, national identification documents, employment code numbers and biometric data. “Biometric data will involve capturing of one’s unique physical attributes such as fingerprints, DNA, iris and retina pattern, using ICT.